From the time it was discovered, which was thousands of years ago, dates were known to have healing powers. And while science has proved that for sure, we love to eat them mostly because of how delicious these dark fruits are. According to history, date palm is known to have come from what is now Iraq, however Egyptians were known to have made wine with dates a lot earlier as well. A typical date fruit is a drupe where the outer fleshy part surrounds a shell of hardened endocarp consisting of a seed inside. These fruits are oval to cylindrical in shape and about 3 to 7 cm long. Cuisines across the world use dates in small and large quantities, but it’s also important to note that the fruit of the date palm tree also comes with a lot of health benefits. Dates are a good source of various vitamins and minerals, energy, sugar, and fiber. It also contains calcium, iron, phosphorus, potassium, magnesium and zinc. Protein rich: Dates are a strong source for proteins that help us in staying fit, and even keep our muscles strong. Rich in vitamins: Dates contain vitamins such as B1, B2, B3 and B5, as well as A1 and C. If you have a few dates every day, you won’t have to take vitamin supplements. Not only will it keep you healthy, there will be a noticeable change in your energy levels as well because dates contain natural sugars such as glucose, sucrose, and fructose, too. So it works really well as a quick snack. Improves bone health: Dates are rich in selenium, manganese, copper, and magnesium, and all of these are required when it comes to keeping our bones healthy, and preventing conditions such as osteoporosis. Strengthens the nervous system: Date are loaded with potassium, and yet contain little sodium, and that goes a long way in keeping your nervous system in order. The potassium helps to reduce cholesterol, and keeps the risk of a stroke in check. Rich in iron: Apart from the fluorine that keeps your teeth healthy, dates also contain iron, which is highly recommended for those who suffer from iron deficiency. Plus it’s great for blood purification as well. Improves skin: The vitamins C and D works on your skin’s elasticity, and also keeps your skin smooth. Plus, if you suffer from skin problems, incorporating dates into your diet might help you in the long run. Plus dates also come with anti ageing benefits, and prevent the accumulation of melanin in your body. Assists in weight gain: The sugar, proteins, and other vitamins in the fruit help in weight gain, especially when you need it. Incidentally, it’s said that when eaten with cucumber, dates help to keep your weight at a normal level. Treatment of Constipation: Dates are a wonderful laxative food. This makes them beneficial for those suffering from constipation. They are rich in soluble fibre, which plays an important role in promoting healthy bowel movements and comfortable passage of food through the intestinal tract. Treatment of Diarrhoea: Ripe dates are effective in treating diarrhoea as they contain potassium which helps in managing looseness of the bowels. They are also easily digestible which helps in alleviating chronic diarrhoea. The soluble fibre in dates also provides bulk to the bowel movements and promotes healthy functioning of the excretory system. Good for Heart: Soaking dates at night and eating them crushed in the morning is beneficial for a weak heart. When consumed twice a week, these tiny storehouses of health help in building up the heart. Besides, they are a rich source of potassium which has been shown to reduce the risk of stroke and other heart diseases. Treatment of Allergies: Dates contain organic sulphur, which is rarely found in other foods. Organic sulphur has several health benefits, which include reduction of allergic reactions and seasonal allergies. Treatment of Night Blindness: Daily consumption of dates helps in keeping the eyes healthy and also prevents diseases like night blindness. A paste of date leaves can be rubbed on and around the eyes or dates can be ingested orally to reduce night blindness. Dental Health: Dates contain fluorine, an important chemical element that inhibits tooth decay by removing plaque as well as strengthening the tooth enamel. Tooth enamel is made up of hydroxypatites which becomes resistant against tooth decay when it comes in contact with fluorine. Beneficial for Pregnant Women: Dates also offer several benefits during pregnancy. Being rich in iron, dates prevent anaemia in the would-be-mother as well as the foetus. They also cause an improvement in the uterus muscles, allowing it to enlarge in a smooth manner. Dates also improve the mother’s milk by providing adequate nutrition to it. They prevent haemorrhage soon after childbirth. Healthy Hair: Dates are abundant in vitamins, particularly vitamin B5, which is vital for the maintenance of healthy hair. Deficiency of this vitamin can cause hair problems like hair loss, brittle hair and split ends. Consumption of dates can help minimize these problems. For Hair Loss: Vitamin B contained in dates is beneficial for your hair. Deficiency of this vitamin can lead to weak and brittle hair. Don’t just go by the size of the fruit. 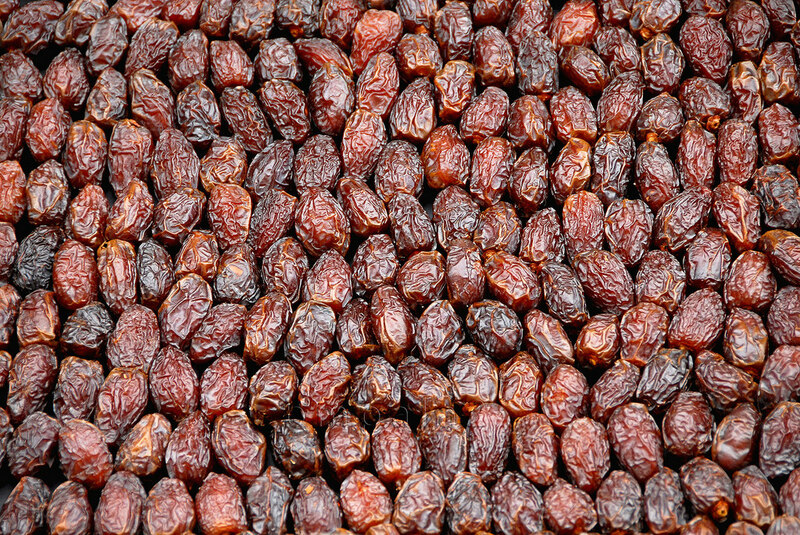 Dates are tiny powerhouses when it comes to health benefits. Make this delicious fruit a part of your daily diet and nourish your health and beauty!